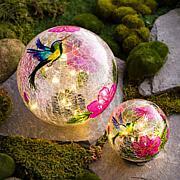 These beautiful crackle glass globes have colorful, hand-painted designs ready to accent your garden, patio or porch. 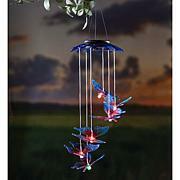 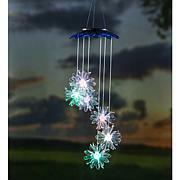 Solar-powered string lights turn on at dusk, giving off a gorgeous glow in the dark. 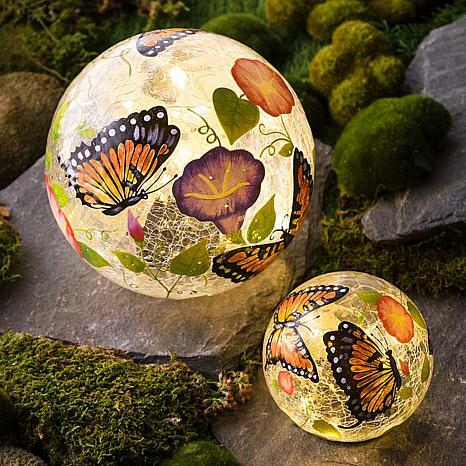 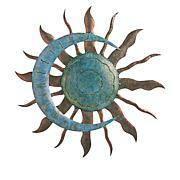 I bought these for my daughter, she will Them, they are very pretty!